Chinese New Year is on February 5 this year as we welcome the Year of the Pig. 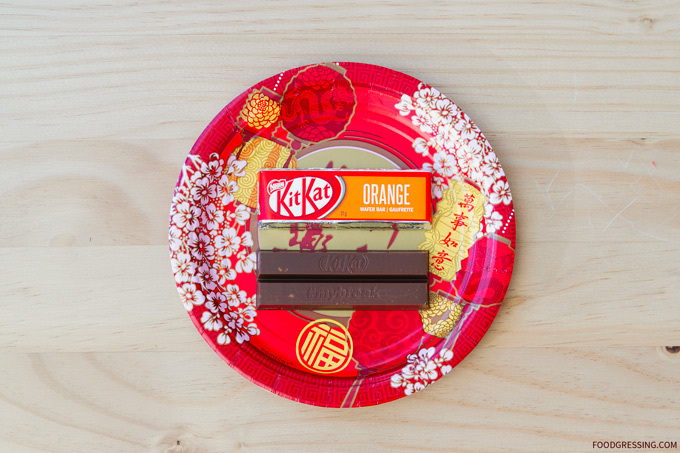 Kit Kat has released a special limited edition assorted gift box of Kit Kats in celebration. 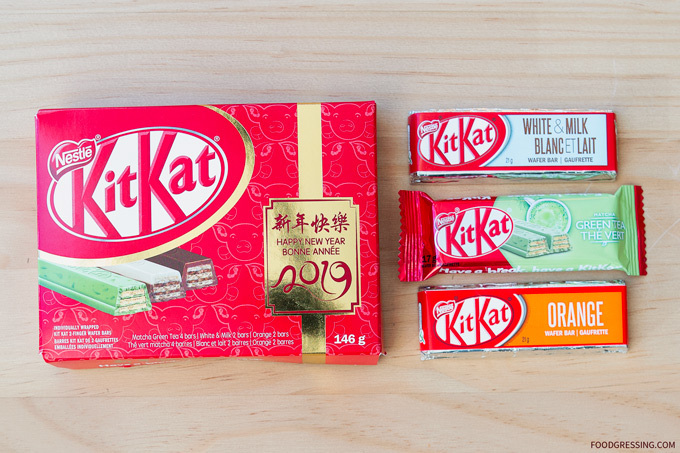 The Kit Kat 2019 Chinese New Year Assorted Gift Box contains 4 Matcha Green Tea bars, 2 Milk & White bars and 2 Orange bars. While the gift box collection is limited edition, these flavours are regularly available. 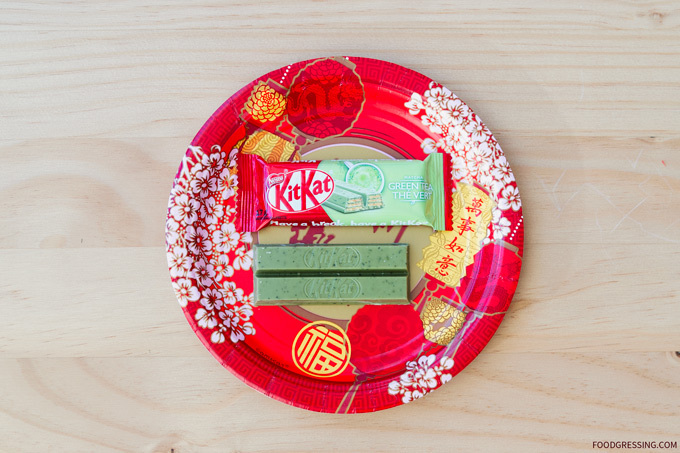 The Matcha Green Tea bars feature their signature crispy water covered in a matcha green tea coating. 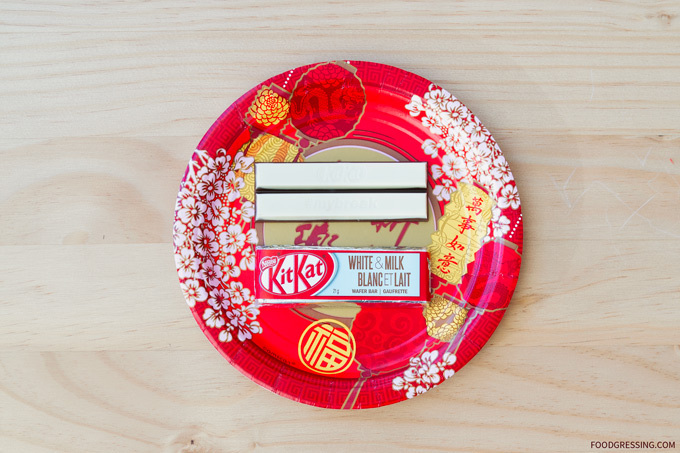 The White & Milk bars have a creamy white and milk chocolate coating over the crispy wafer. The Orange bars have a coating that have blend citrus fruit flavour with milk chocolate. I like the packaging of the gift box but it’s too bad they didn’t release any unique flavours. 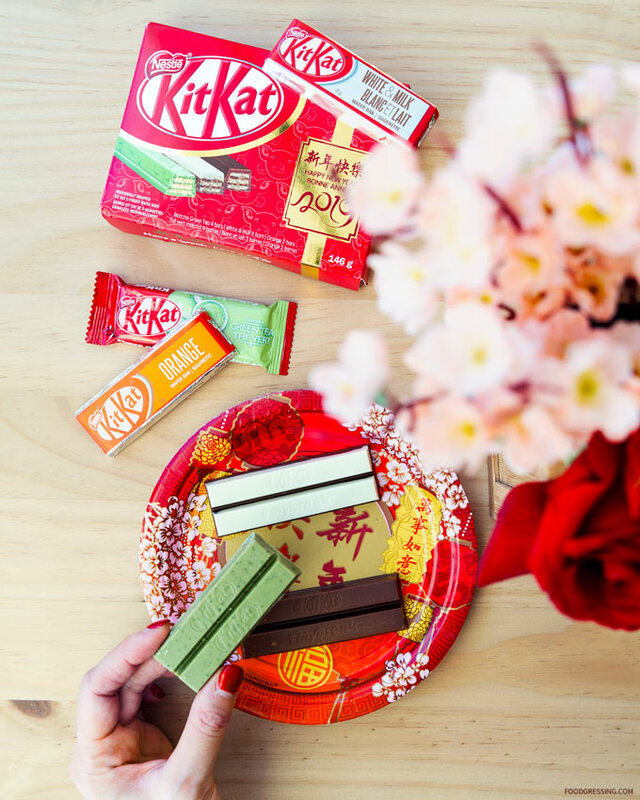 Nevertheless, it’s a fun gift for the Kit Kat lover in your life. I picked up a Kit Kat Chinese New Year Gift Box at my local London Drugs for $4.99 but I saw them being sold at Walmart and T&T as well.